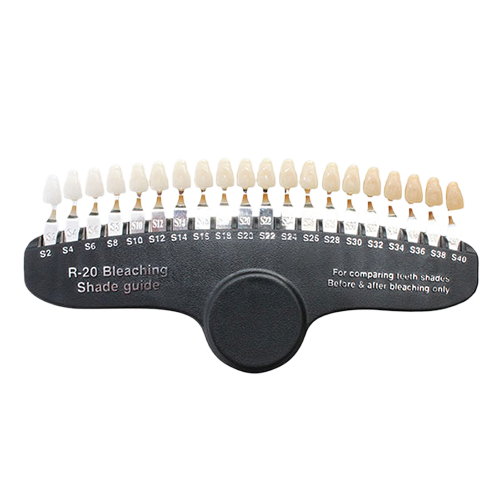 The R-20 is the teeth shade guide that we recommend for teeth whitening. 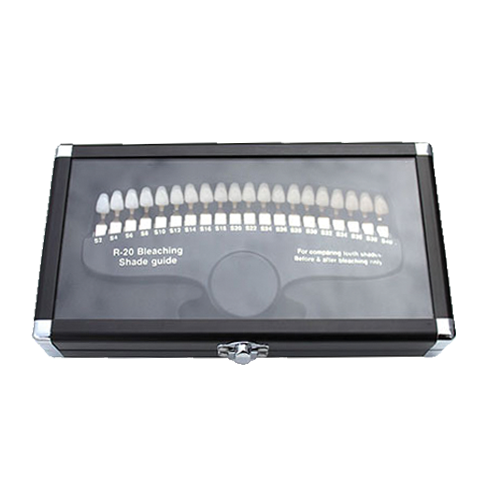 Because a tooth shade chart is used to compare the color of the teeth before and after a teeth whitening treatment, it is important that each shade on the guide is arranged from light to dark as on the R-20. 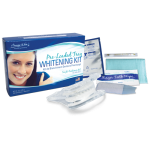 Some people that are new to teeth whitening make the mistake of purchasing a bleaching shade guide that is not arranged from light to dark, such as the Vita shade guide, so the numbers don’t really make sense to customers and they can’t tell how many shades whiter their teeth got from their treatment. 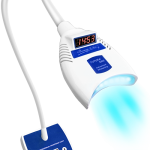 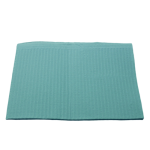 We also like the R-20 because it is sturdy, easy to sanitize, and easy to use. 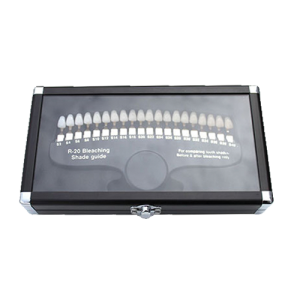 Plus, customers feel more positive about their results when you can tell them they went from a “34” to a “22” than if you had to tell them went from a “B3” to an “A1”. 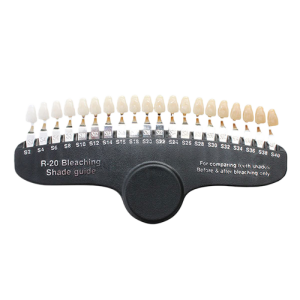 The R-20 Bleaching Shade Guide has 20 shades that range from 2 to 40 and comes in a beautiful storage case. 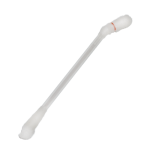 Stick with our recommendation – you’ll love the R-20, too!